My “weekend” has kind of been a wash. Yesterday I was more in the mood to be lazy and just watch baseball on TV. Today, it’s raining so I can’t get any of the chores done I was hoping to do this weekend. Oh well….I suppose there’s nothing wrong with being lazy. I asked J if she wanted to meet me downtown for lunch, but she said she’d rather come home and feed L before venturing out. Didn’t really matter to me. I just wanted to eat. There are a couple new places downtown that we have yet to get to. 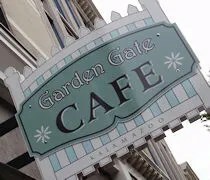 One of those places is Garden Gate Cafe which took over the space that was Confection on the Kalamazoo Mall between Gazelle Sports and Rustica. 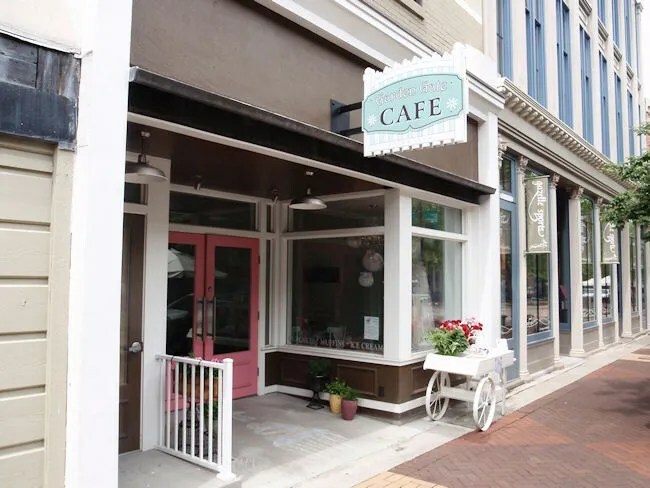 While Garden Gate is new to Kalamazoo, they are not new to the cafe/bakery business. The original Garden Gate is in Shipshewana, IN where the owners have been in business for several years. The new business doesn’t look all the different from the one that was previously in this spot. Up front is where all the sugary goodies are as well as the drink area which features Water Street Coffee and Italian Sodas. The back counter is where you order food. We weren’t really sure of the protocol when we walked in. Most of the tables were already full and we didn’t see the order counter in back. We saw a lot of people looking at menus so J grabbed someone and asked if they were seating us or if we should just sit down. The waitress grabbed a couple menus and explained how things are done then we grabbed an open table near the door. 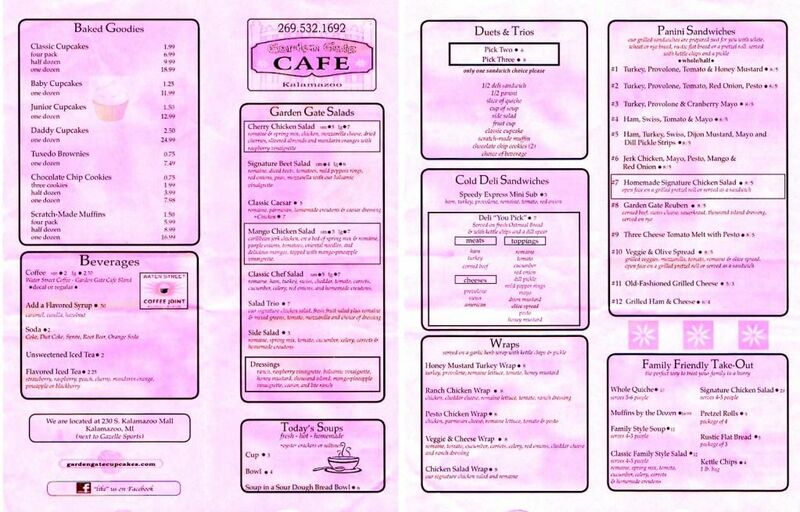 We both found a sandwich on the menu that also has salads, wraps, and quiches. J headed to the back to order while I did my best to entertain L while we waited for our food. 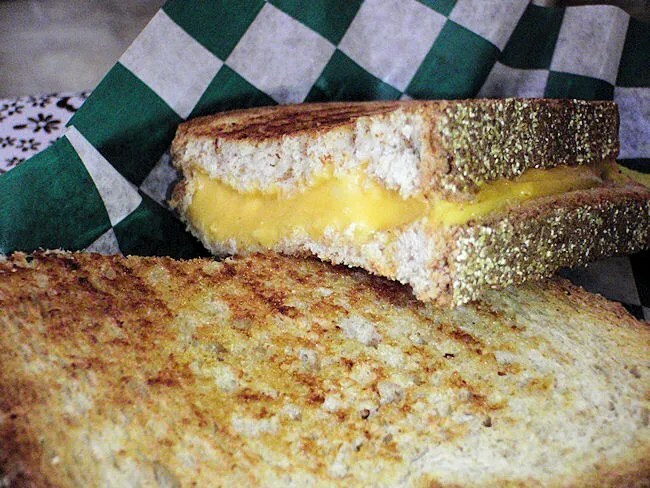 I got the #5 Panini. The sandwich is ham, turkey, Swiss cheese, Dijon mustard, mayo, and dill pickles. I opted to leave the mayo off. This sandwich is very Cuban-esque. I love the combination of dill pickles and Dijon mustard. I don’t really eat either very often on their own, but I love the taste of them together. The sandwich had a nice crunch from the panini press and there was just enough meat to make the sandwich filling. 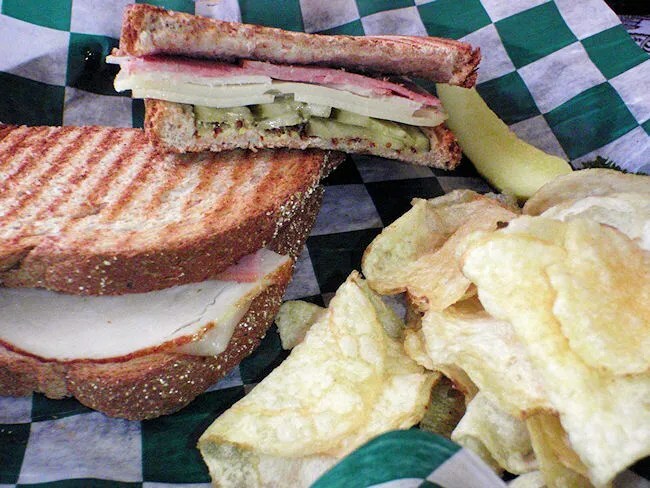 All the panini’s come with kettle chips and a pickle on the side. J ordered #11 which is a simple Old-Fashioned Grilled Cheese. She got her sandwich on wheat as well. There was nothing fancy about her sandwich, but she said it was tasty. To go along with our meals, I got a Coke and J got a Cherry Italian Soda. She was told next time to ask for a “French Soda” which is the same thing but it has some cream on top. Our bill was right around $18 and I know this sounds horrible, but we actually passed on dessert. They have a couple cases full of amazing looking cupcakes, but nothing jumped out at us as a have to have at that particular time. I liked Garden Gate Cafe and I hope it has more success than its predecessor. My biggest complain about Confection was the price. I don’t think Garden Gate has that problem. What they have is a great shop that fits in well with downtown Kalamazoo. It’s great for a quick lunch or a quick pick-me-up on those dreary Monday afternoons. Have eaten there many times and enjoyed it. They’ve proved that a cafe/bakery can work in that location. The previous tenant’s problem wasn’t the concept or the clientele or downtown politics or any of the other things she blamed her failure on. It was bad execution. Gsarden Gate offers good service and good prices, and it works.